Latest on the Maple Leafs, Senators, Islanders, Blackhawks and more in today’s NHL rumor roundup. SPORTSNET: Nick Kypreos reports the Toronto Maple Leafs are searching for a right-shot defenseman. He brought up Alex Pietrangelo of the St. Louis Blues, who was first mentioned in trade speculation a couple of months ago. While it’s debatable if Pietrangelo’s still available, Kypreos speculated they could be a few losing streaks away from making him available. Pursuing a top-four rearguard will be expensive. Possible trade chips could include their 2019 first-round pick or prospects such as Timothy Liljegren or Calle Rosen. The Leafs aren’t willing to part with winger Kasperi Kapanen or 2018 first-round pick Rasmus Sandin. Elliotte Friedman suggested the Leafs consider such options as Jake Muzzin of the Los Angeles Kings or Radko Gudas of the Philadelphia Flyers. SPECTOR’S NOTE: If Pietrangelo becomes available (and that might not happen until June at the earliest), Kapanen and Sandin would probably be the Blues’ asking price. Muzzin is a left-shot defenseman so he can’t address that right-shot need. Gudas shoots right and would provide some grit to their blueline but he’s skating on the Flyers’ third defense pairing. The Leafs could be seeking someone with a better right-side presence than Gudas. SPORTSNET: Nick Kypreos reports the Ottawa Senators made an offer to center Matt Duchene believed to be in the vicinity of $64 million over eight years. The annual average value would be $8 million, which Kypreos deems a fair offer for Duchene. He also speculated there could be a soft deadline to this. If the two sides fail to reach an agreement soon, Kypreos believes Senators general manager Pierre Dorion will need at least two weeks to shop Duchene before the Feb. 25 trade deadline to get the best return possible. Elliotte Friedman believes the Senators also made an offer to pending UFA winger Mark Stone. He’s not certain of the salary numbers but assumed they could be higher than Duchene’s. SPECTOR’S NOTE: Eight years and $64 million may seem like a fair offer for Duchene but does his camp feel the same way? They could decide he might get more via free agency. NEW YORK POST: Larry Brooks wouldn’t be shocked if New York Islanders GM Lou Lamoriello became a buyer as the Feb. 25 trade deadline approaches. While no one knows what the famously tight-lipped Lamoriello has in store, Brooks noted he has a history of making moves near the deadline when he believes his team is close. Lamoriello has a collection of young assets he could peddle near the trade deadline. Brooks speculates his rental targets might include Matt Duchene or Mark Stone of the Senators, or maybe a defenseman such as Jake Muzzin or Alec Martinez of the Kings. SPECTOR’S NOTE: The Islanders are the biggest surprise of this season. After losing John Tavares to Toronto via free agency, they were expected to finish near the bottom of the standings. Instead, they begin this week sitting atop the Metropolitan Division. As Brooks points out, we don’t know what Lamoriello’s plans are or who he might target if he does decide to be active in the trade market. But I think he’ll do what he can to improve his club’s playoff odds. DENVER POST: Mark Kiszla believes the Colorado Avalanche should pursue New York Rangers center Kevin Hayes, suggesting it can be done without mortgaging the future. GM Joe Sakic holds two first-round picks in this year’s draft, one of them a lottery-protected selection from the Ottawa Senators. Kiszla suggests Sakic offer up the Avs first-rounder to the Rangers. SPECTOR’S NOTE: It would certainly be a bold move by Sakic to pursue Hayes. He has to do something, however, to bolster his club’s secondary scoring depth. Already guaranteed of a high pick in this year’s draft, perhaps even the first-overall selection, Sakic can afford to dangle his own first-rounder to bring in a reliable second-line scorer. THE ATHLETIC (subscription required): Scott Powers reports a league source claims the Chicago Blackhawks are shopping forwards Marcus Kruger, Chris Kunitz, and Andreas Martinsen. Kruger could attract interest from clubs seeking checking-line depth. Powers also recently examined the pros and cons of trading defenseman Erik Gustafsson. If they move Gustafsson, he could fetch a third-round pick. SPECTOR’S NOTE: Kruger, Kunitz, and Martinson are all due for UFA status this summer. Kruger has a seven-team no-trade list while Kunitz has a full no-movement clause. Each could fetch a draft pick but probably nothing higher than a third. Gimme a break, Gudas has been known to embellish on occasion as well. If you object you haven’t watched him play enough when he was younger. You were the guy screaming about how the Flyers D was as bad as the Leafs so I’ll say it again 3rd pair guy who takes alot of penalties. Roman Polak not available? Cause that bottom pairing tough guy that takes penalties at bad times helped so much before. I don’t think Gudas and or Polak is the right way to go …they are brothers from another Mother …and separated at birth. I truly believe the best route to gor FOR THIS SEASON and keep the core intact is to go after Koronwall ..he the best fit …a pro ..does not take poor penaltys still playing very good Hockey and brings a Cup into the room and can settle down the 2nd or 3rd pairing and could be a great 2nd PP guy on the point and still play 1st line penalty kill….he is everything they need and doesnt come with a lot og baggage or a poor contract …this will allow for a better look at things in teh offseason and go from there …teams are not giving away D men and they will cost a boat load ..I do nt think the leafs truly want to give up Kapanen Moore and Sandin or Johnson right now for a quick fix. I think its really important to bring in a player who has a CUP into that locker room and has been through the paces as opposed to a younger less experienced player on a modest contract…. that has a lot of value and worth its weight in SILVER ! I don’t take issue with that deal. At TDL …. at best a $350 K Cap hit … waive/trade Ruhweedel to fit in 23 Man roster …, Pengy s happy camper on those moves ! Bigbadbruins..i think if Boston lands either one of those two look out…Simmons fits the bruins mold for sure..the somehow land Tarasenko geez..he wants out of st.louis soo bad he would b reborn..
Am I the only one who thinks signing Duchene for 8yrs @ $8m per, is a terrible for Ottawa and the fact Duchene didn’t jump all over it. Maybe he just doesn’t want to play there. To me if this rumor is true that is better then a fair deal, that’s a great deal. Not once in his career has he average a point per game came close once 70pts in 71 games in 13-14 other then that not close. Does Ottawa think now at 28yrs old that Duchene who is on track for his best point production is going to continue this pace going forward? If he does it will be for two season or 3 max. I’m with you. Ottawa needs a rebuild. I move both for picks prospects. ….. Oh George …., what’s your thoughts ? Hard to disagree with that Caper. I can see why the Sens want o keep some guys around who can play as they have an issue with their fans and need to sell some tix. the hold up may not be the 8×8 , he could be asking for his salry to be split into a large chunk being paid in bonus $. Something Ottawa typically does not do. I would think the offer had to have at least some (not much but some) SB ; or else the offer was futile to begin with…. Pengy..7 more goals against in a 7-3 loss at vegas if we dont get a top 4 dman to pair with e returning schultz we arent going anywhere.. Goals against–‘ 4 goals in Anaheim 5 versus kings 5 against venus sharks 2 against Arizona 7 versus vegas..some empty netters. But if we cant defend we will b out quick. I stayed up late to watch it and was in pain …. setting aside the EN goal … he was on for 5 of 6 against, partially or fully responsible for all 5; was a minus 4 on the night (was on PK for VGK’s PP goal) and had a give-away that almost lead to another and another huge guffaw that could have also resulted in another one … a miracle shy of a minus 6 on the night …. yet he didn’t sit a shift …. Sully wake up!!! Colorado shouldn’t trade any of their first round picks for a rental. This is a team growing; Its been reported that this is a strong draft class, with such a young team they can build threw the draft. 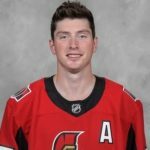 I think the issue surrounding this situation is that Ottawa and Dorion do not want to be embarrassed when they have no way out but to trade Duchene and the return will be less palatable because they will not get the return on the initial investment! hard to say but I doubt that they will get that early first round pick back…it will have to picks and prospects coming back unless its an early 1st rounder next years not this years draft. Duchene has had his on and office issues and signing him to a long term contract would be setting that tone of culture for the next generation and it would not be a good thing for the young players coming up. I think taking the loss on the initial trade to save you potentially the $9 million per season and get a guy who may be a bit toxic all around for futures and a player would be the best idea in the end…but things never end up the way we think sometimes…hence speculation and just floating of ideas.. PENGY..SO JJ WAS ON FOR 5 GOALS AGAINST..GEEZ WHY DONT THEY SIT HIM..FU#####k pettersson matta #2 olesiak rikola #3 im hoping they get muzzin or Manson i also really like Brandon montour of the ducks stepped up big time while fowler was out..we hav to tighten up. Columbus lost last night Washington got best 8-5 today in Chicago islanders are for real under trotz..buckle your seat belts..Rutherford has 10 days 5 day bye and all star break to get cooking..plus schultz gets 10 days to skate and heal without missing games..
Why in the world would you try to sign a 28 year old forward Matt Duchene to an 8 year contract??? Have these GMs not figured out that forwards are washed up at early 30s yet? Didn’t the Bobby Ryan contract make you stop to think? The game is fast and it’s a young forwards game, unless the guys name is Crosby or McDavid you don’t sign a forward to a contract that goes past age 34. I would rather sign Duchene to a 4 year 10 mill per year deal than offer a 8 year deal for less. The NHL needs a better way to buy out contracts, it’s complete nonsense to have to buy out a player and suffer a cap penalty for 10-16 years. If my Sabres bought out washed up Okposo(age 30) they would be stuck for 8 seasons. Now they will be paying him next year 6 mill to play in AHL where he will milk every last day of his remaining 4 years, even though he knows he’s washed up and done his pride won’t kick in and retire. I would make his life miserable in AHL until he quits. Matt, agree there are plenty of bad contracts out there for older forwards, but I don’t think you can paint them all with the same brush. You’re right that you have to be able to skate as the speed of the game has increased. But that is the strength of Duchene’s game. The guy has always been able to go, and still can. Guys who have the wide powerful stride like him, who make it look effortless usually keep it longer than guys who have to work hard to get around. Look at Marleau, he is 39 and skating is not an issue for him. Is he the player he was at 33 or 34, of course not. But still has value. Anyone that trades a first round pick for Hayes should be FIRED immediately. Yeah, the guy only has 33 points in 39 games. What dumb team would want to add a 2nd line center that can effectively play a good two way game and still put up good numbers? That GM would truly be looking to end his career for a huge mistake like that! I’m sure all 30 other teams have that kind of talent rotting away on the Ahl…. just waiting for a call up. Now just give your head a shake Ron. Forget signing all these old guys to long deals, GMs should start using the rules and sign players to offer sheets, would you rather have Koptiar or Duchene at age 35 making 10 mill cap hit or would you rather have a guy like Marner signed in his prime? Do you want to win or just have a team with zero chance? I hope some teams offer sheet Marner and Matthews to major deals, this isn’t little league baseball, this is pro sports, use the rules to your advantage. I hope my Sabres make an offer sheet to one of top young forwards, Rantanen or Marner, make those teams struggle to keep them. Concur …. perhaps there is a middle ground. $10 M next year is going to be about 12 % of cap. Kind of a middle ground win win counter proposal to your offer …. waddya think? As a few posted above. I would not sign Duchene or Stone. Ottawa needs a rebuild of young players. Trade both to playoff contenders for best picks and prospects available. They will have a nice amount of cap space to sign 5-6 decent players July 1st. Follow Vegas and Islanders strategy. Get younger hungry players. For the 16-18 million those two will cost you can sign 4-5 decent players in the 3-4 million range. Every team is turning into a one line team because they can’t afford to pay more than 5 guys big contracts. would STL go for Nylander & Zaitsev for Pietrangelo though? So TML can have cap space to resign him. I see some incentive in the trade but likely not going to happen. Would have to be off-season a way as the WW cap hit in 18/19 is so extremely high. Any trade involving Petro must start with a 1st AND MORE—Liljegren, Johnsson, Grundstrom. Nylander may have been the main piece of a trade for Pietrangelo until that Clark Kent-looking goof Dubas signed him to that gross contract. I don’t think the Blues would want any part of him at those dollars. They certainly couldn’t and wouldn’t do it if the Leafs then try to dump the Zaitsev contract on them. If Kapanen isn’t part of the return, I don’t think you are getting Pietrangelo. Colorado should save the picks. Offer Jost or Compher and only if Hayes can be signed with some cost certainty. Pietrangelo is not moving unless it is for the farm. Isn’t he their captain ? Gudas and Muzzin are not in the same class. Ones a low dollar claimer and the other a Grade II Stakes horse. Dorion has a conversation and verbal agreement with both Matt’s agent and a team rich in cash, that is willing to make a sacrifice now but doesn’t have the cap room for Matt next year. They all agree on an 8 year contract … say $72 M for 8 years. Cash rich team with space then trades this year’s first rounder plus several 2020 and 2021 picks to acquire Matt for the playoff push. They (new team) immediately sign him to an 8 year $72 million contract that includes an $8 million signing bonus . They then get Matt for now through playoffs and maybe even win the cup. Then they pay the signing bonus to Matt and then trade him back to our team for all of the 2020 and 2021 picks already done in the trade. Sens get Matt for the 8 years at $64 million that they already offered and get a bonus of a first rounder. The acquiring team paid a 1st and cash they already have to get an excellent centre that may push them deep in the playoffs and perhaps even win them a cup. @NuckinFudz, welcome aboard I always appreciate new poster and yes there can be some unforgiving replies. My question for you is why would you want Duchene for 8yrs, he be 36 when the contract expires, how long do you think he can be productive? I think Duchene will be productive for a while because of his skating. I also can’t see him signing for less than 7 years, and I think he will get it, so why would he take less? Does Ott need to overpay a bit because of the drama surrounding the team and ownership? Probably. I agree Ray, Duchene’s an elite skater and a true #1 centre and I’m guessing many commenting here probably haven’t seen him play much this year. True, the Sen’s are re-building but like any team they still need to have veteran leadership. It’s also worth mentioning that, although they do have a number of interesting prospects, none to my knowledge are projected to be #1 centre’s. As far as $8 x 8, what’s being missed here is that by the end of the contract with a rising salary cap $8M may seem quite reasonable. Ray yes Duchene may get 7 or more and if that’s the case Ottawa should trade him at the deadline and hopefully get a 1st and a prospect. Ottawa signing him to an 8yr contract will be a big mistake. Players that are productive after the age of 33 are very few. Last season there was one player 33yrs or older that was in the top 80 and that was Joe Pavelski age 33 he finished with 66pts in 82 games good for 46th overall in scoring. Personally unless it’s a dman or goalie I wouldn’t be given out 8yr contracts unless 25 or younger. Don’t disagree Caper and I know I am walking on both sides of the street with Duchene. You are right 8 is too long and I don’t think any GM wants to do it, but the market is what it is and if the Sens want to keep Duchene, they will have to buck up. Should the market change? Yes. Will it? maybe, it is in baseball right now. I do think he will be a productive guy into his 30’s and I also think he will be overpaid for the last couple years of this deal and his play will diminish somewhat. Age gets all of us to some degree. I think he will age better than most due to his skating. Agree with Ranzier, I don’t see a #1 C in their pipeline and they are hard to find. Also think the Sens fall into a world of hurt financially if they blow this up. If he won’t sign 8 x 8, then yes move him. They have no choice. He will move to the #1 coveted player at the TDL. Not sure re CBA and if acquiring team (are you talking Leafs) can in fact sign for 8… is it only 7? Anybody know on this? If it were me at the Leafs GM desk, I think I just may be willing to roll the dice in this. Roger, what a wonderful day that would be but, sadly, it will never happen. The owners are looking for more teams, not fewer. So what if the fans would really enjoy 82 games and the playoffs with more talent on the ice? What’s important here anyway? he said rhetorically…. Imo the Leafs should try to sign Kapanen to a bridge deal and trade Nylander for the best return. If this means picks and prospects I’m fine with it. No thanks to Gudas and Polak. I’d rather try to get Robert Hagg. C’mon, somebody, anybody please trade for Karl Alzner. As he cleared waivers once, pucks, sticks, travel vouchers are welcomed. Are you saying you’d even take JJ off of Pens hands ? Still willing to trade ? Pssst …. I’ll throw in another D for you …. his name is Chad Ruhweedel …. but please sign first before you peruse his stats! Per Howie Mandel … what say you? Deal 👍 Or No deal 👎? Pengy…LA is looking to clear space…would you take on Phaneuf for JJ? I am pretty sure LA won’t be willing to hold salary…what other players could get involved to balance the cap? Is it a one for one ?? Or is LA willing to give a slight bit more for youth and term ? Or is GMJR willing to add a premium kicker to have a medium bump in D quality for one year plus these play-offs ? Shticky, the east is weird this year. TB is cruising and way ahead, then the next 7 bunched together separated by a couple points with every body struggling to some degree. so who goes for it and adds at the TDL? I thought my Bruins would be ready for a run as they are finally healthy, then Rask (who was playing well) gets steam rolled and is out. Gonna be interesting home stretch. Jordan Staal was out most of December and it looks like he wont play in January. Carolina should be talking to Detroit about Glendening.